With a long list of successful exhibits that span 20 years and collectors worldwide, Laura’s paintings are described as beautifully imperfect. Often large in scale with strikingly bold colours and texture, each piece offers discovery. Her process is rooted in memory and imagination, and her emotions are palpable. When she’s at work, Harris becomes utterly engrossed in her practice. It’s a fully physical task with music turned up loud and paint flying. Laura applies the same love and abandon to all other areas of her life. Harris' is a positive oeuvre, but there are contrasts in texture and hue that suggest the opposition of forces. Exuberant, sensual, and often surprising, Laura’s images are known and prized for their irresistible energy. Her relationship with light has been compared to that of Turner. Laura currently lives in Victoria, BC and after 17 years of working from her home studio, has moved her work space to a fabulous, brownstone in the city. 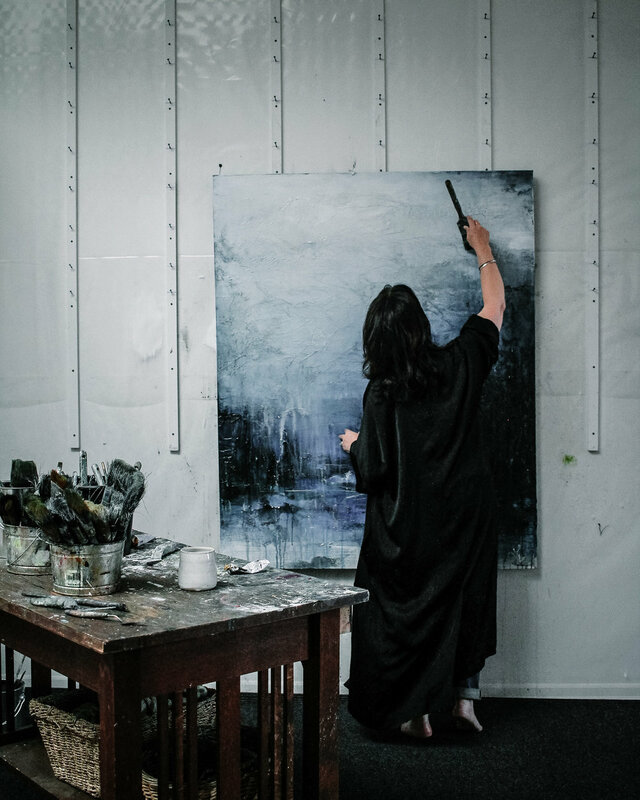 Her work is exhibited in galleries across Canada, and corporate clients include Mercedes Benz, The Ritz Carlton, The Keg and Canaccord.